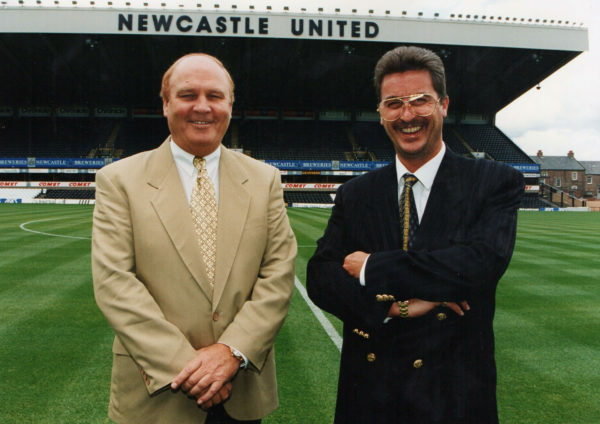 In 1988, Sir John Hall and Douglas Hall had significant ambitions for Newcastle United and approached Freddy and Bruce Shepherd to invest in the Club. 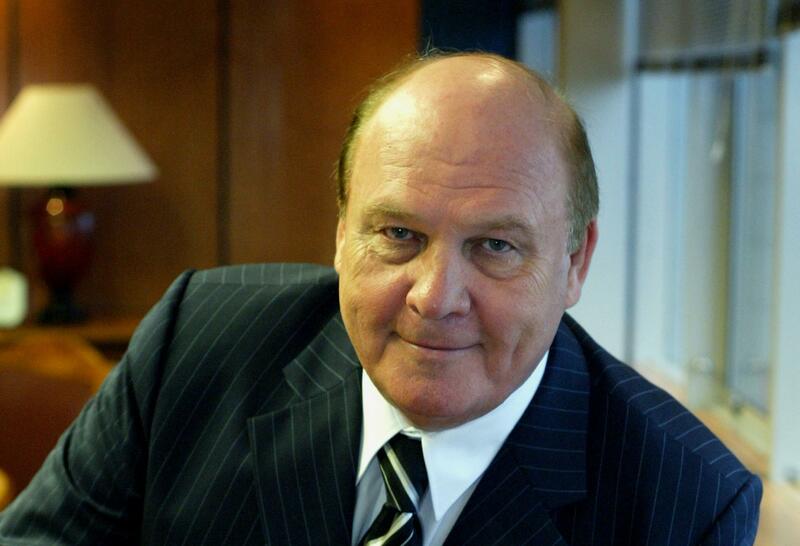 Shepherd Offshore purchased shares in Newcastle Utd. 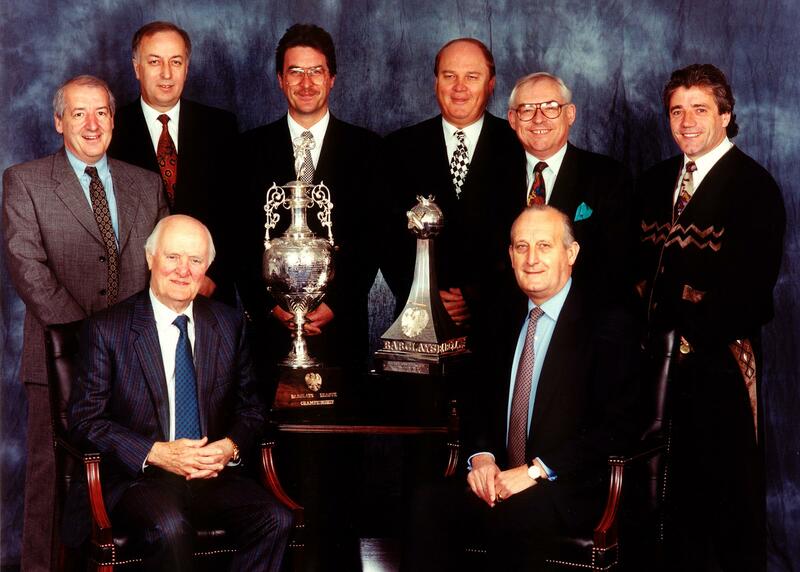 Shepherd Offshore continued to purchase shares in Newcastle Utd and formed a partnership with Sir John and Douglas Hall called the Magpie Group to save the football club. Freddy Shepherd joined the board and took over the day-to-day activities, gaining control of the club between 1991 and 1993. 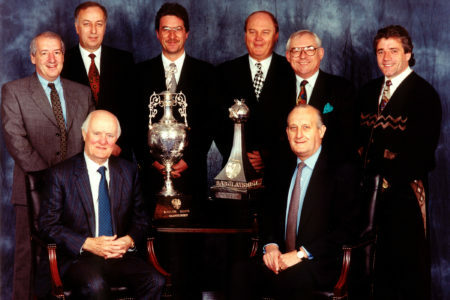 After finishing 20th in the second tier the season before, the Hall and Shepherd families brought in Kevin Keegan and Freddy Fletcher, taking control to spark a stunning turnaround which saw the Magpies winning a promotion to the Premiership in May 1993, accumulating a record amount of points. 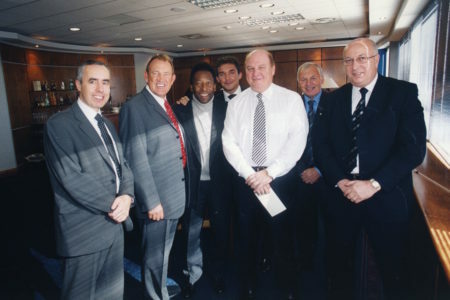 Significant investment over this 12-month period culminated in the club breaking their transfer record by signing Andy Cole for £1.75m, with the negotiations led by Freddy Shepherd. On entering the Premiership in only its second season, the club brought in new players, including re-signing fan favourite Peter Beardsley. Newcastle United announced their return to the Premier League with an impressive third-place finish and qualifying for the UEFA Cup for the first time since the 1970s. Andy Cole raced to a still club and league record of 41 goals for the season, with an impressive 34 in the league. Significant redevelopment of the St James’ Park stadium took place, initially reconstructing the Leazes End to create the Sir John Hall Stand and the Gallowgate. 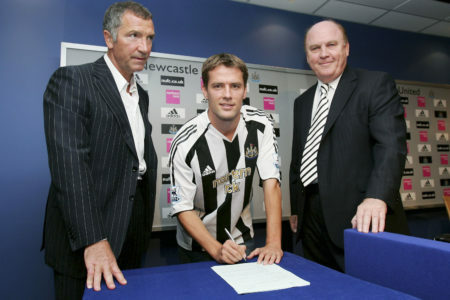 Supported by the marquee signings of Les Ferdinand, David Ginola, Warren Burton and Faustino Asprilla, Newcastle United were, at one point, leading the Premiership by 12 points and came close to winning the Premier League title, finishing second behind Manchester United. Second place still represents their highest finish since winning the league in 1927 – and a far cry from skirting with regulation to the third tier, only four years prior. 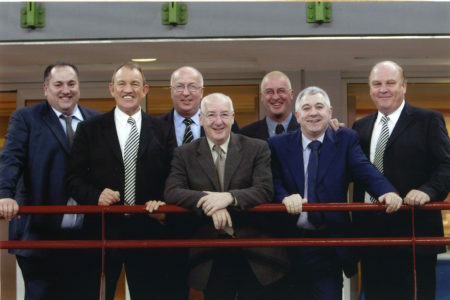 The St James’ Park redevelopment programme was complete with the rebuilding of the Gallowgate End and filling in all four corners; eventually increasing the capacity to 36,610 supporters. 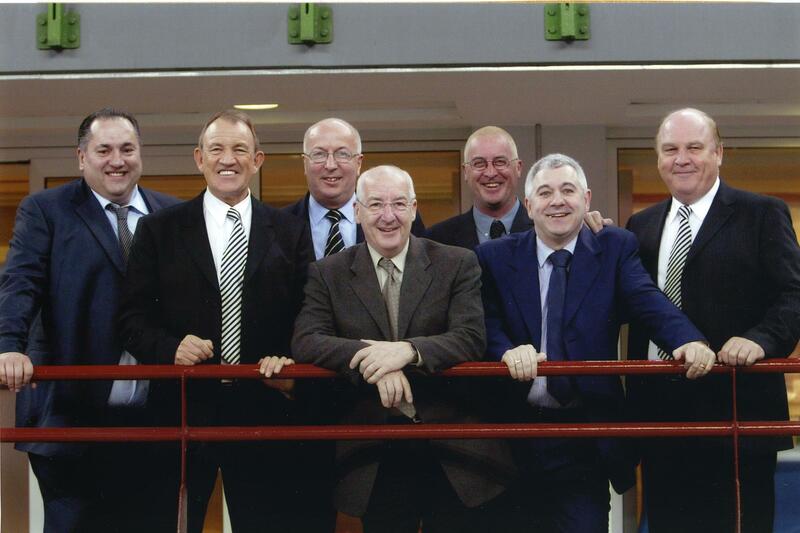 Newcastle United’s style of attacking free-flowing football soon had them coined as “The Entertainers” and most football fans’ second-favourite team. 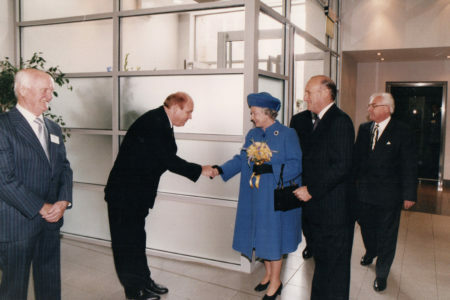 In September 1995, Shepherd Offshore formed with the Hall family the Newcastle Sporting Club, a collection of Newcastle Falcons (Rugby Union), Cobras (Ice Hockey), Storm (Motorsports) and Eagles (Basketball) modeled on Barcelona’s sporting club. Newcastle signaled their further ambition by breaking the world transfer record to sign local hero Alan Shearer from Blackburn Rovers for £15m in 1996. Kevin Keegan left midseason and was replaced by Kenny Dalglish. Despite this, Newcastle United again finished second in the Premiership with highlights including beating Manchester United 5-0 and reaching the quarter-finals of the UEFA Cup, losing eventually to AS Monaco and qualifying for the UEFA Champions League for the first time. 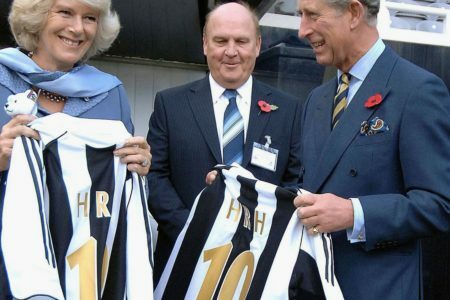 Off the field Newcastle United was floated on the Stock Market, putting its value at £193m with Shepherd Offshore retaining a shareholding percentage. 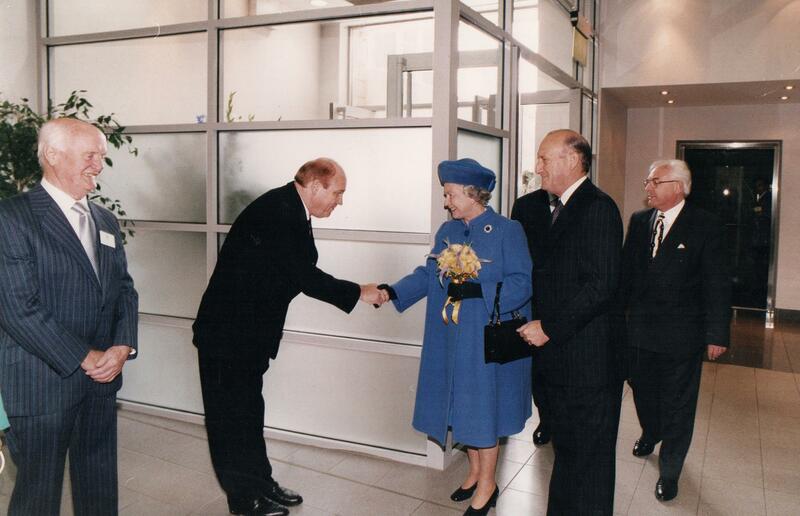 In January 1997, Freddy Shepherd became Chairman of Newcastle United. This season the club signed fans’ favorites Shay Given and Gary Speed. Newcastle United in the UEFA Champions League beat Dynamo Kiev and Barcelona 3-2 after the hat-trick from striker Faustino Asprilla. The club also played at Wembley in the FA Cup Final against Arsenal. Financially, the club generated the fifth highest worldwide turnover, only surpassed by Manchester United, Real Madrid, Bayern Munich and Juventus (and topping Barcelona). 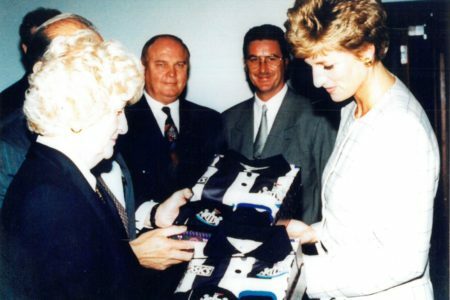 The Newcastle Falcons, in their first season in the newly-professional Rugby Union era, under the leadership of Rob Andrew, a young Jonny Wilkinson and all-star signings of Doddie Weir, Gary Armstrong, Pat Lam and Tony Underwood were crowned champions in 1998. Under the new management of Ruud Gullit the club again returned to Wembley for an FA Cup Final against Man United. Newcastle United also managed to qualify for Europe for the fourth season running. The redevelopment of St James Park entered its latest phrase by significantly expanding the Milburn and Sir John Hall Stands, eventually increasing the stadium’s capacity to 52,143 supporters, creating the second largest club stadium in the country. The Falcons, continuing their success, reached the final of the Tetley’s Bitter Cup – only to lose to the London Wasps. 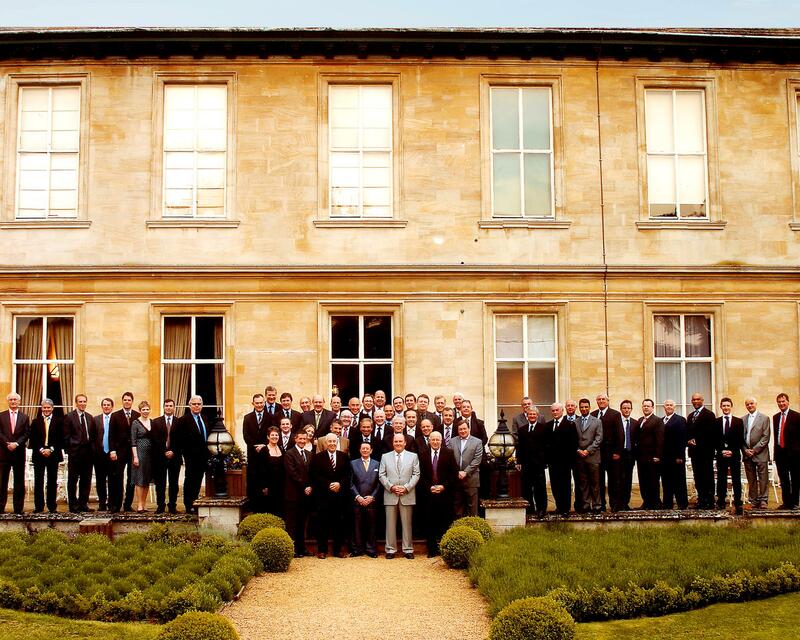 The following season, Shepherd Offshore and the Hall family sold their interest in the Sporting Club. Freddy Shepherd and the Board appointed Bobby Robson as manager in September 1999. 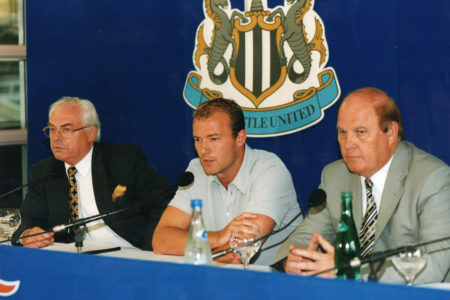 Under Robson, Newcastle United’s revival began immediately, with an 8-0 win over Sheffield Wednesday with Alan Shearer scoring 5 and a 3rd concessive appearance at Wembley in the semi-final of the FA Cup. Despite another mid-table finish, the club finished the third-highest scorers, with 63 goals – returning to their own brand of attacking and free-flowing football once again. A title challenge re-emerged as unlikely contenders during the 2001-02 season, with the team finally finishing fourth, memorably returning to the summit of the league for Christmas 2001 – following away wins at Arsenal and Leeds. This brought a renewed hope for the club after four seasons of struggles, with the prize of a converted position at Europe’s top table – the Champions League – for only the second time. The Magpies continued to improve on their league position by finishing third in 2002-03 and in their return to the Champions League, despite losing the first three matches. They then beat Juventus, Dynamo Kiev and Feyenoord, reaching the second group stage. The club once again met Barcelona and then drew 2-2 at the San Siro with a Shearer brace – in front of an unprecedented 15,000 traveling Geordies. 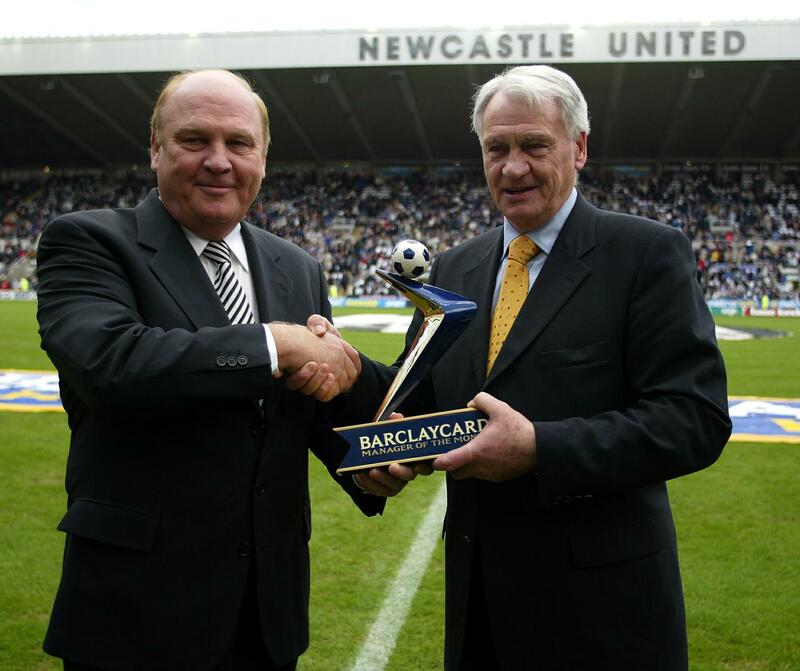 Newcastle finished fifth in the league at the end of the 2003-04 season, again qualifying for Europe. Despite exiting the Champions League in the qualifying rounds, their Europe adventure continued until the semi-final of the UEFA Cup, only to be undone by Didier Drogba’s Marseille. Newcastle United managed to reach the quarter-finals of the UEFA Cup and semi-final of the FA Cup in 2004-05 under Graham Souness. 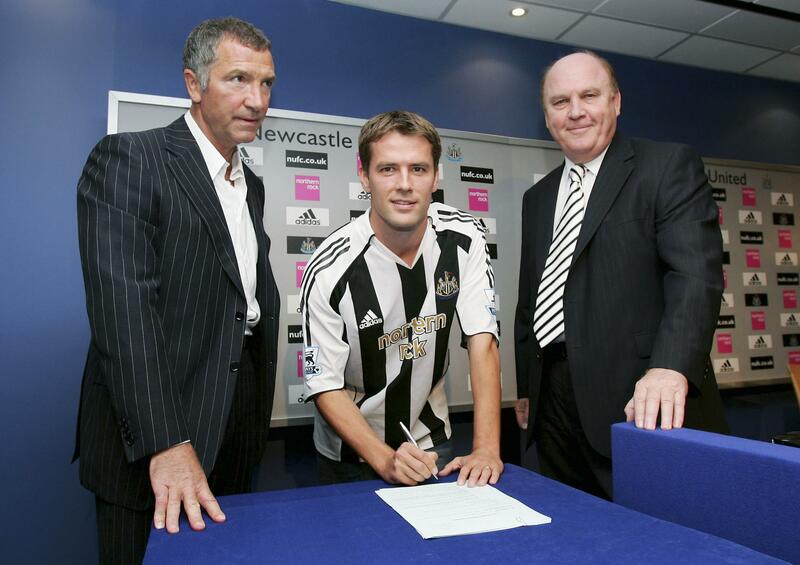 Prior to the 2005-06 season, Newcastle United broke their own transfer record by signing Michael Owen for £16 million from Real Madrid. 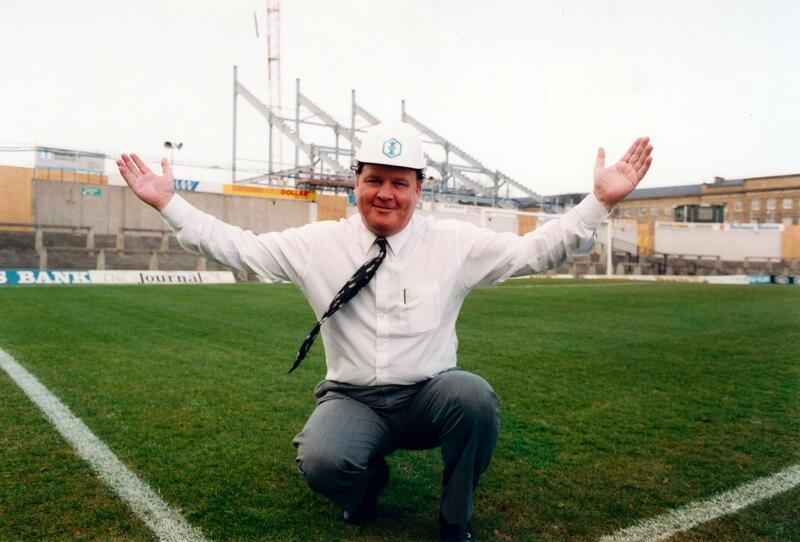 The club’s record signing to this day. 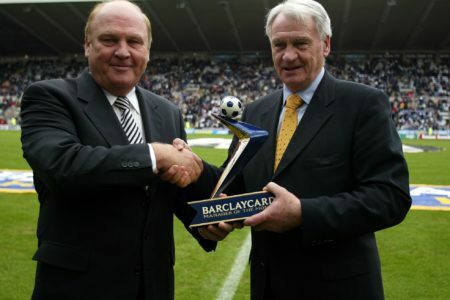 In April 2006, under Glenn Roeder, Alan Shearer scored his 201st goal for the club, breaking Jackie Milburn’s record and becoming the club’s highest goalscorer. Roeder, taking over mid-season led the Club to a respective 7th position, with them once again qualifying for the UEFA Cup. 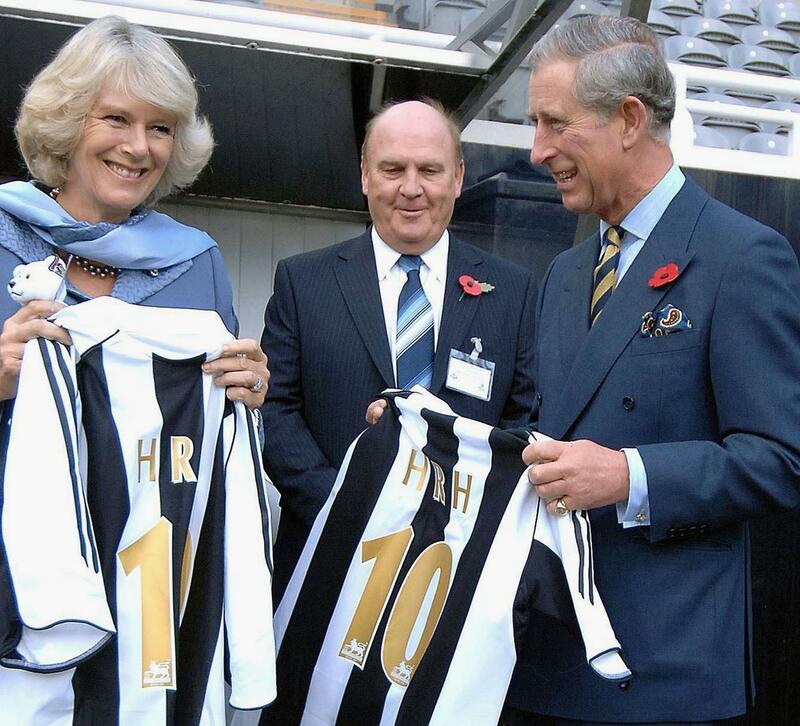 In May 2007, the Hall Family sold their shares in Newcastle United to Mike Ashley of Sports Direct, followed by the Shepherd family, ending Freddy Shepherd’s tenure as Chairman and Shepherd Offshore’s 16 year association with Newcastle United. 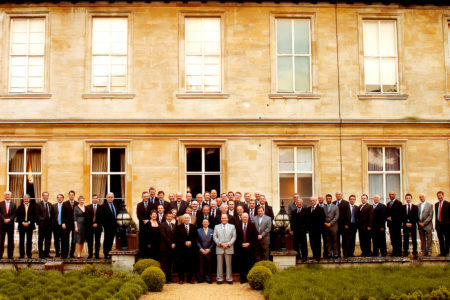 In 2008, a partnership between Shepherd Offshore and Paul Stretford saw the launch of Triple S Sports and Entertainment Group Ltd. 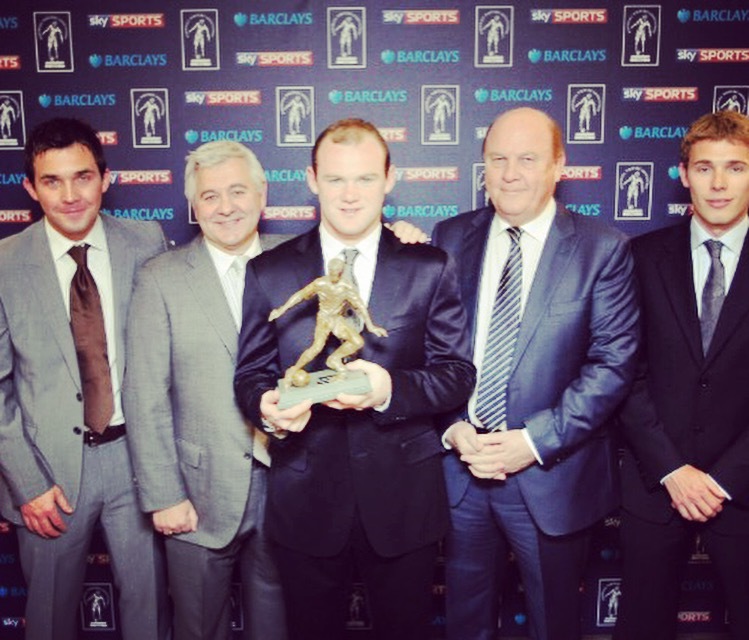 The company, based in Manchester, represents a number of sporting professionals from around the world. It provides a complete representation and management service. The business has over 36 players under management, including Wayne Rooney, Harry Macguire, Angus Gunn and Toni Duggan. 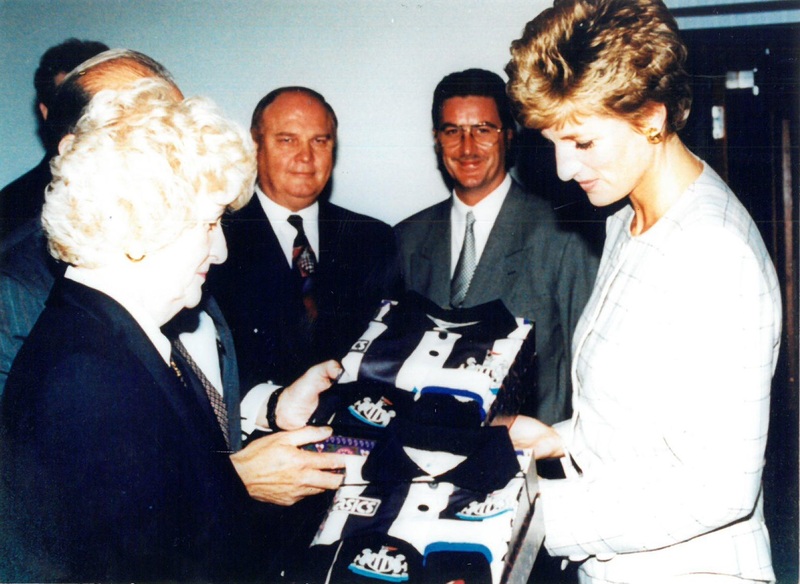 Triple S is also an event management and communications company, with a impressive portfolio of succesful events, including Joe Calzaghe’s Gala Dinner in aid of Help for Heroes and Soccer Aid, in partnership with Unicef UK. 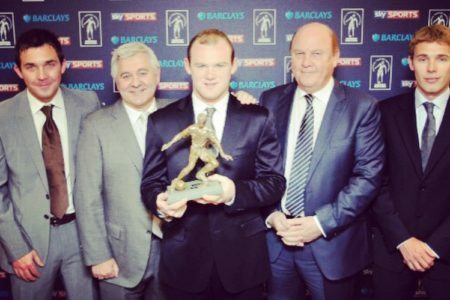 Over the years, Soccer Aid for Unicef has raised over £30 million for the benefit of Unicef UK. In 2016, Freddy Shepherd erected a statue in celebration of Alan Shearer at St James Park. Northumberland artist Tom Maley spent almost six months casting the structure, which shows Shearer celebrating a goal with his iconic hand-in-the-air pose. In 2018, Soccer Aid announced that the 2018 campaign had raised a record-breaking total of £6,746,557, all of which was donated to Unicef UK to help protect children in danger around the world. To read more about it, click here.